You’ve probably heard the term ‘adrenal exhaustion’ as it seems to be the term floating around social media and health sites. And you’re probably drawn to this article because you have an inkling it might be relevant for you or a loved one. 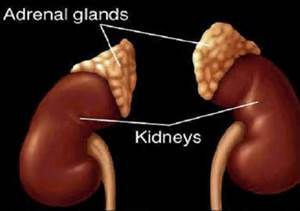 Let’s take a look at the adrenals, where they are, what they do and what impacts them to create the condition of exhaustion and what you can do to remedy this from happening or support your system to recover from being adrenally exhausted. In order to avoid damaging the adrenals it is essential to spend time relaxing and creating more equilibrium in your life. At Northwest Bowen, we work with people experiencing adrenal fatigue and help to successfully bring balance and rest back into our client’s lives. Let’s take a look at why that is..
Bowen Therapy treats the whole body with a series of moves, sequences and timing intervals that stimulate a variety of anatomical or physiological responses resulting in long term and immediate resolution of problems and pain conditions. Bowen taps into the Automated Nervous System (ANS)which controls over 80% of the bodily functions and is very susceptible to external stressors. Most people today live in a constant state of high stress and sympathetic ANS over-stimulation (fight, flight or freeze mode). 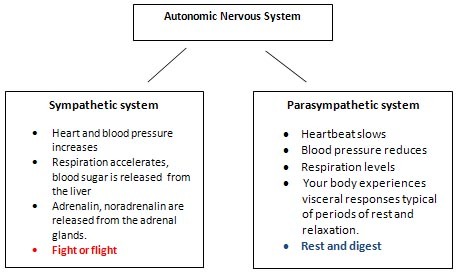 Healing can occur only after the ANS shifts from sympathetic to parasympathetic dominance (rest, relax, repair mode). Bowen Therapycatalyzes this shift. Bowen procedures target muscles, tendons and ligament sites, stimulating proprioceptors (nerve messengers within the nervous system) to activate the shift from fight, flight or freeze mode into rest, relax, repair mode. During sessions clients quickly drop into deep relaxation or fall asleep, and loud peristalsis is often heard. Both of these changes are indications of profound release from stress and shift towards parasympathetic dominance. This shift could explain, in part, the common observation that Bowen Therapy sessions seem to reactivate the recovery process in situations where healing from trauma, sickness or surgery has stalled or reached a plateau.